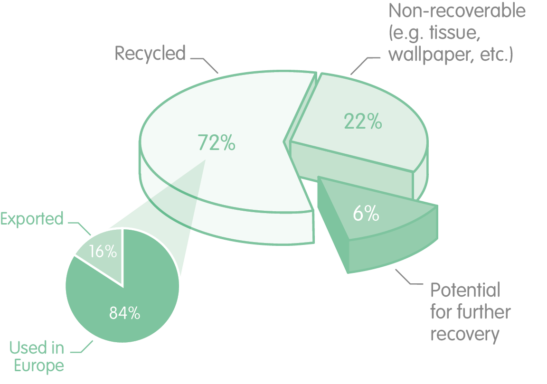 The European recycling rate for paper reached 72.5% in 2016 – that amounts to 2 tonnes of paper being recycled every second! The European paper industry is a leading recycler and, with local collecting systems improving, will increase its recycling rates even further. 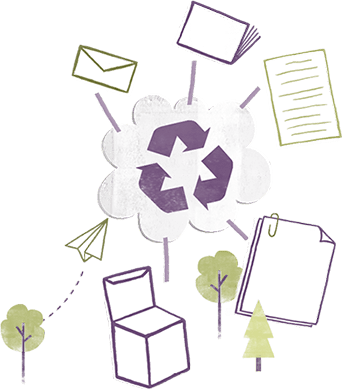 Two Sides members support the implementation of effective recycling schemes and the minimisation and eventual elimination, of print and paper waste in landfill. Two Sides encourages responsible paper consumption. Double-sided printing in the office and separate collection schemes will reduce costs and improve sustainability. 5 International Council of Forest and Paper Associations, 2015. Statement on Paper Recycling.